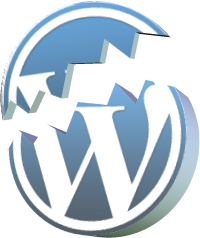 A common issue that can occur with users new to installing WordPress themes is a “Broken theme and/or stylesheets missing” error message being displayed when trying to upload or activate the theme. This error message does not mean that the theme you have purchased is broken, it simply means it has been uploaded incorrectly. Luckily, there is a very easy fix. Please follow the steps below to rectify this issue. Optional: If you do not wish to manually upload the theme only folder to your “themes” folder, there is an option. You can zip up the theme folder (remember, ONLY the theme folder) and upload it via the WordPress themes admin panel by selecting “add new” and clicking “upload”. That's all there is to it, please be absolutely sure you are uploading only the theme folder when trying to install a WordPress theme. If you have specific item questions or require technical assistance, we recommend you contact the author via their profile page.